If you're playing in a group, it's worth rolling the dice on Mario's latest party. Nintendos classic board game meets video game franchise, Mario Party has come to the Nintendo Switch. Check out Kidzworlds review of Super Mario Party to see if this is a party worth visiting. Mario Party is one of Nintendo's most beloved spin-offs from Mario's main princess-saving adventures. While the series found a lot of love through the Nintendo 64 and GameCube, the Wii and Wii U collection of Mario Party games weren't as well-received, with that in mind, I have no problem saying that Super Mario Party is the best entry over a decade with fun minigames, classicly simple boards, and lots of that Nintendo charm. Right from the game's opening, it's clear that Nintendo wanted to get this Mario Party right and the opening cutscene gets off on the right foot with a setup that feels oddly familiar to the original Mario Party's opening argument of who is the greatest Super Star. Obviously, the setup doesn't really matter when you're rolling dice on the game's board but it felt like a great sign of things to come. 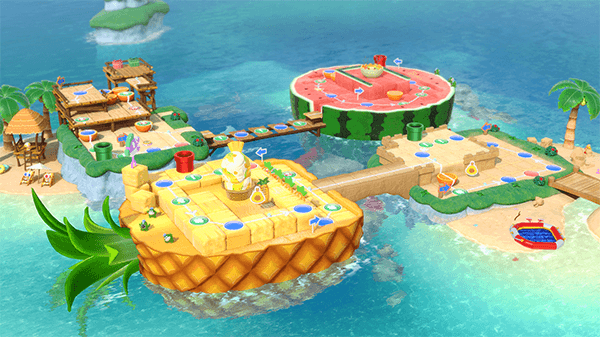 While there are a ton of things to explore while wandering around the game's hub world -- including a pretty fun singleplayer type mode centered around minigames -- the main hook of the game is the traditional Mario Party board game. 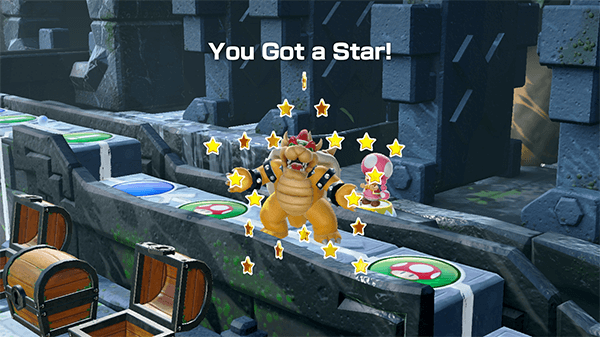 For the player who isn't familiar with Mario Party, the game is a digital board game where the goal is to have the most Stars by the end of a set amount of turns. The space you lands on determines what's to come. Will you lose or gain coins which can be traded for a Star, will you pass through a store that sells you items, or will you wind up on a "Bad Luck" space? 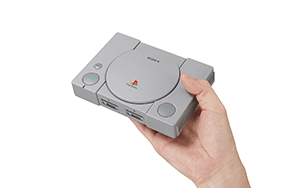 But, of course, what also decides the quality of a Mario Party game isn't just the boards -- which Super Mario Party has great, but few, boards -- but it's the minigames that make things memorable. 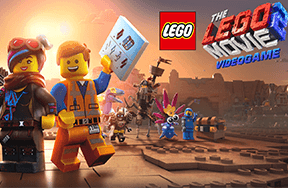 At the end of each player's dice roll, the game uses the color of the space you landed on to pick what kind of minigame you'll be playing next. 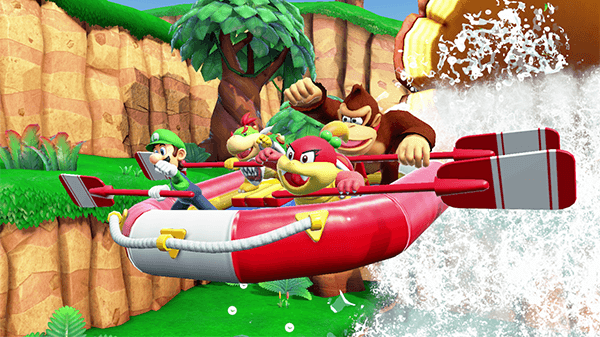 Mario Party games of the past have had some awesome minigames, as compiled in last year's Mario Party: The Top 100 for 3DS, and some less awesome minigames, like Mario Party 8. 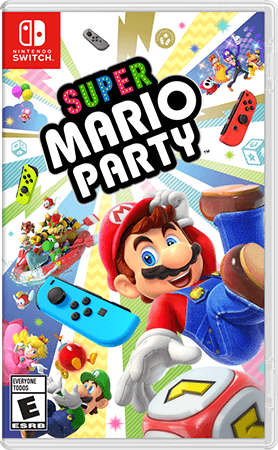 Super Mario Party's games struck a necessary balance between being simple enough for anyone to understand, even non-gamers who may not be used to the motion controls, and a challenge that keeps things feeling competitive even when replaying a game you'd already tried dozens of times. Some games may feel a little too simple, like being the first to pick which shape is the largest, but there's a lot of fun to be found in that simplicity. Like pretty much every Mario Party game, it's not always a ton of fun if you're playing by yourself and that extends to that aforementioned linear minigame campaign but if you're getting a group of friends together, you're certain to have a blast. Super Mario Party is the best Mario Party game we've had in the past decade, maybe ever. It'd be nice to have extra boards but what is there is going to be a ton of fun. To this day, no franchise brings together casual and expert gamers as well as Mario Party. Have you played any Mario Party games in the past? 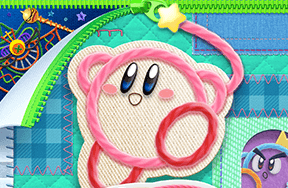 What are your favorite entries in the franchise? Share your thoughts in the comments below!